Collection of 'Innovative Juicers and Cool Juice Squeezers' from all over the world. 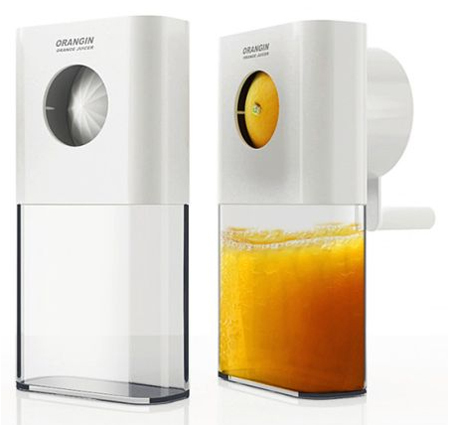 Citrange Juicer: Quentin De Coster designed this dual-sided squeezer; its divided into two parts that adapts to different citrus and orange fruit. Steep Juicer: This electric juicer by Jackob Mazor has no container for your juice, instead the juice flows directly into the cup below. 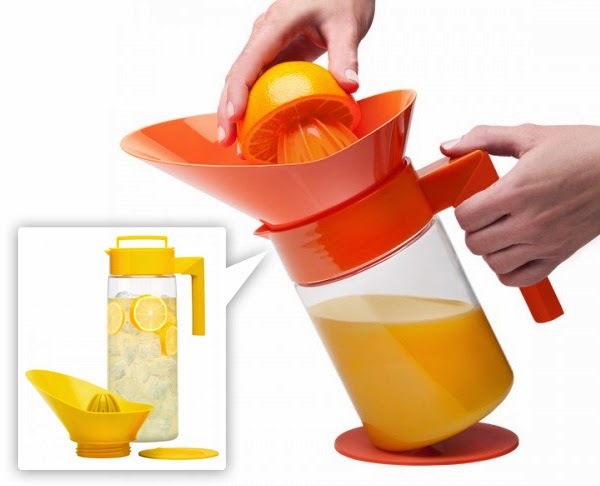 Takeya Orange Juice Makers and Lemonade Maker: These Orange Juice Makers and Lemonade Makers come from Takeya; they have simple changeable top cover that allows you to juice right into the container. 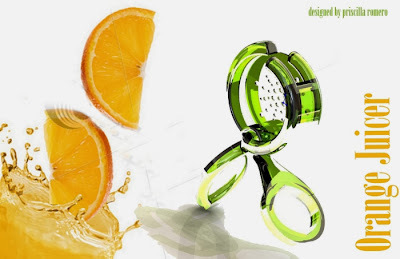 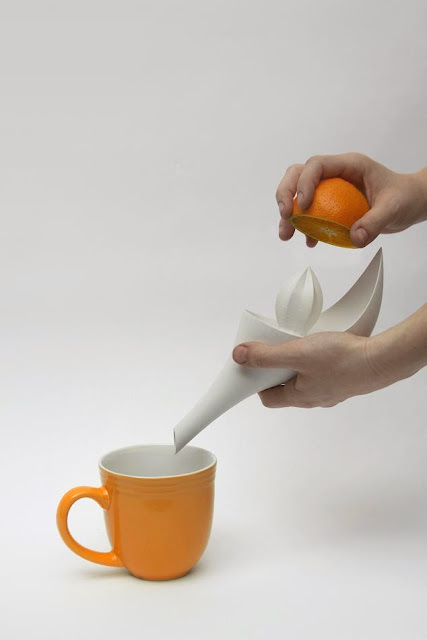 Orangin Citrus Squeezer: The Orangin Citrus Squeezer produces juice by constantly squeezing the fruit. 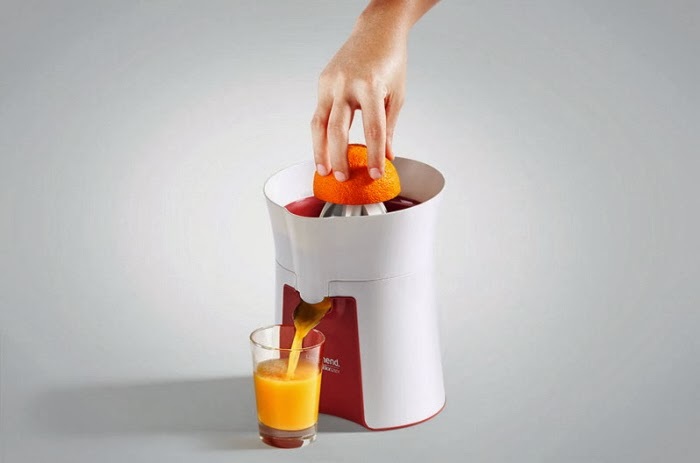 JUS: In this press and squeeze juicer the juice flows directly into the container below. 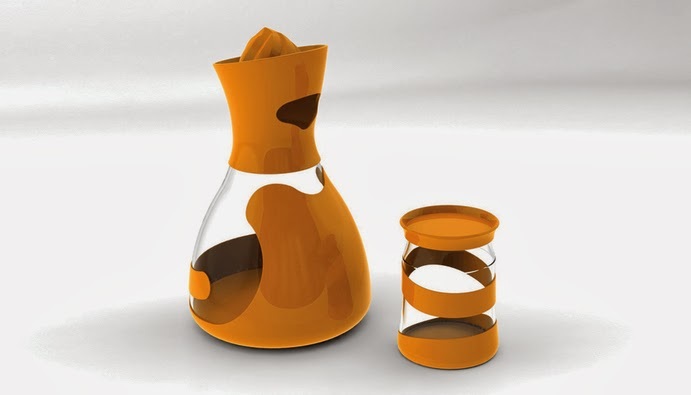 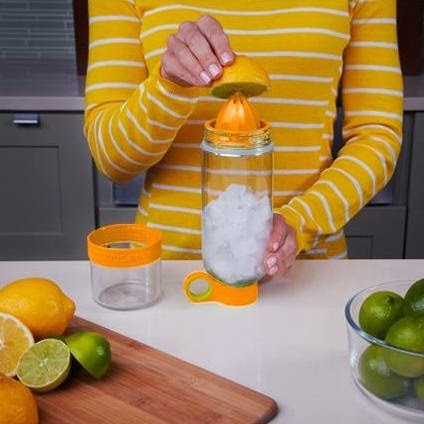 Citrus Zinger: The Citrus Zinger comes with a juicer on the bottom; it provides an easy way to extract juice and flavor from citrus fruits and infuse them directly into your water bottle. 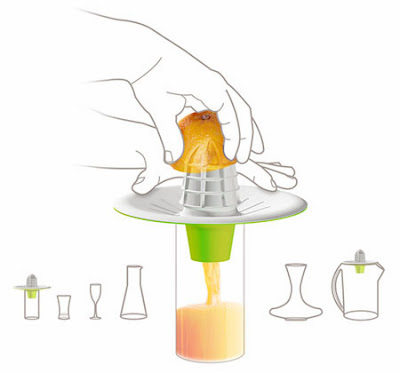 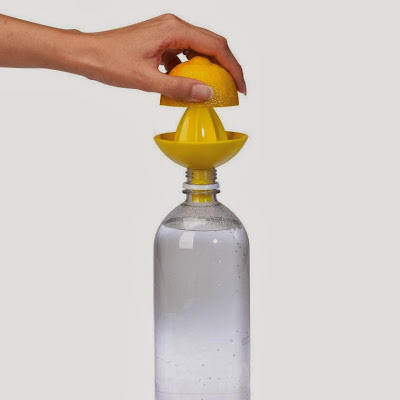 Sombrero Citrus Juicer: It combines a juicer and funnel into one; just place it over a beverage bottle, twist a half of a citrus fruit over the reamer and juice flows down through the funnel into the bottle. 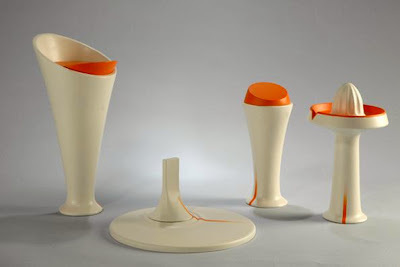 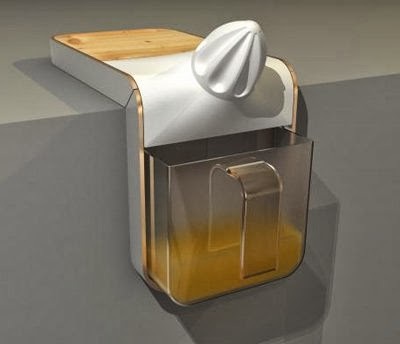 Gibli Ortal Juicer: This juicer concept comes from designer Gibli Ortal; it folds over the edge of the countertop, and can be placed on the wall when not in use. 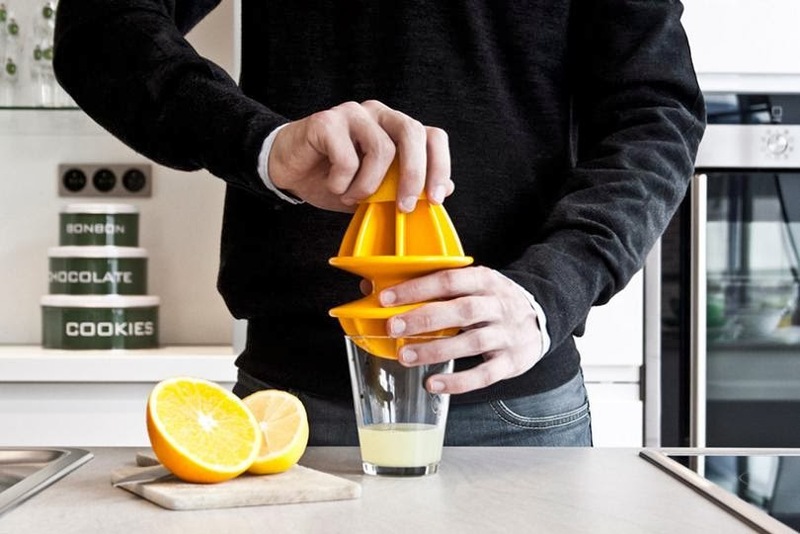 Zest Citrus Handjuicer: It comes with a wooden cover for covering the juicer when not in use and it doubles up as cutting board. EXSQUEEZit: EXSQUEEZit is a lightweight juicer that comes with no container; all you need to do is place it over any container and squeeze the fruit. 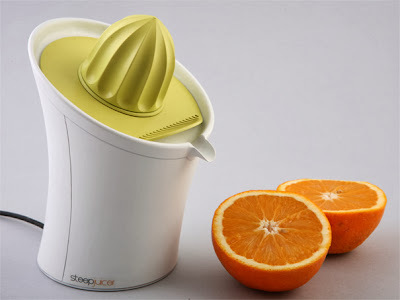 Calla Citrus Juicer: This citrus juicer by J.T. 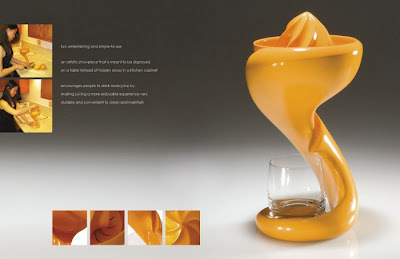 Kelleher is inspired by the beautiful calla lily, the juice flows directly from funnel into the waiting glass below. 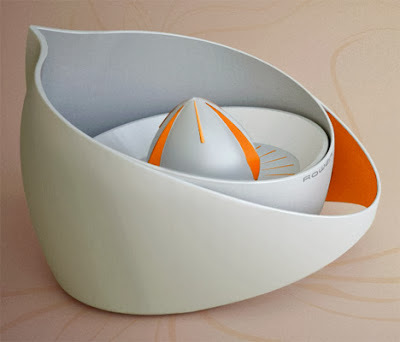 15 Cool Credit Card Inspired Gadgets and Designs - Part 2.